Located on site at Twin Hollow Campground and Cabins off Rt. 52 in Gilbert, WV & directly off the Rockhouse Trail System of the Hatfield McCoy Trails. 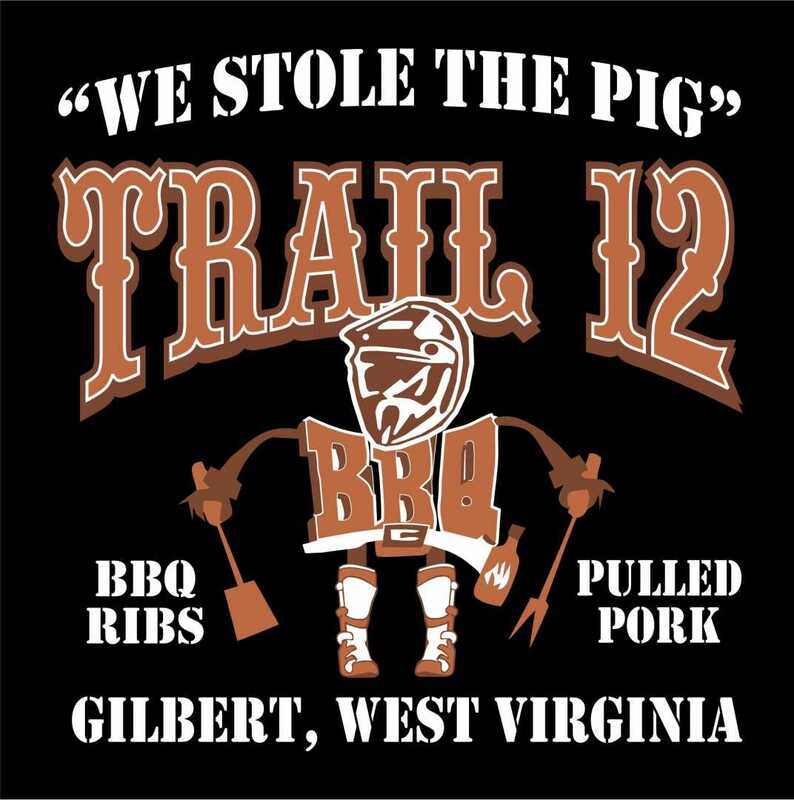 Trail 12 BBQ offers 100% Hickory Smoked Baby Back Ribs & Pulled Pork, along with, Smoked Burgers, Smoked Bologna, Chicken. Specialty Hot Dogs & Much More. We also offer an array of appetizers, homemade sides, and deserts like our Homemade Blackberry and Peach Cobblers, Peanut Butter Pie, & our signature desert the “Coal Seam Brownie”. So, whether you’re looking for a place to slow down after a hard day’s ride, or just a pit stop before hitting the Trails stop by Trail 12 BBQ for some of the best food & BBQ in West Virginia. Check us out on Facebook, Tripadvisor, & Yelp! Catering is available! Please call in advance.